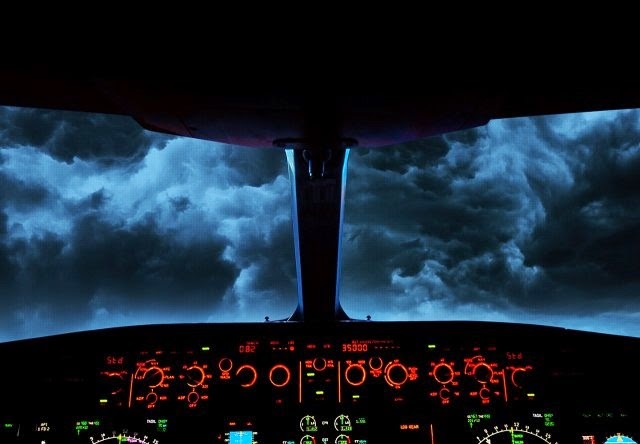 I addressed the implication of flight automation in the loss of Air France 447 last year when the voice and data recorders were recovered from the floor of the Atlantic Ocean (in itself a small miracle). Now writer William Langewiesche explores the subject in a recent edition of Vanity Fair. Langewiesche is very thorough and comes to many of the same conclusions about aircraft automation that are slowly being realized by industry experts and the FAA. The problem of how this issue will be addressed is still an open question. This is especially poignant as automation becomes ever more pervasive. Last year's crash of an Asiana 777 at San Francisco highlighted the pitfalls of pilots who are not prepared to take over flying when the machines can't. Humans are uniquely ill suited to sit on their hands and monitor the performance of machines. They need to be kept actively in the loop to stay engaged. And yet the machines aren't good enough to be left on their own. Today's modern aircraft have the worst of both worlds: machines which are quite fallible, and bored, disengaged humans with a fading skill set who are expected to take over at a moment's notice, usually at a critical phase of flight.